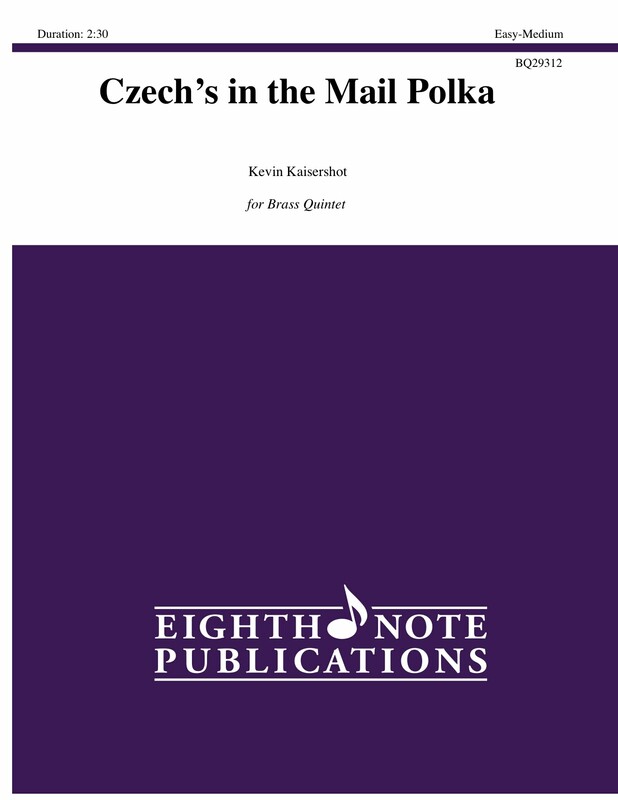 Czech s in the Mail Polka was written as a tribute to the German-Czech style polkas that the composer became so familiar with during his undergraduate years at the University of Nebraska-Lincoln. He was a regular member of a local polka band and played the occasional dance job on numerous weekends. Written specifically for the young brass quintet, the piece has applications even for more experienced groups.